This week is the most special weeks for Catholics. This week is Holy Week. Holy Week begins on Sunday with Palm Sunday. It is the day when we celebrate Jesus’ triumphant entry into Jerusalem. The Jews celebrated Jesus coming into the city to celebrate Passover believing that He was going to save them from their oppressors, the Romans and the Jewish leadership. Unfortunately, that was not the case – He came into the city to save us from our oppressor, sin! We are given palms which are blessed and hung in our houses as a way to remind us that Jesus is our King who overcame sin for us. T his is the day that we celebrate the Passover meal that Jesus had with His disciples. It is the time that we were given our most cherished and most practiced sacrament, Holy Communion. Jesus offered up His Body and His Blood and asked His Apostles to repeat the Passover blessing to always remember the sacrifice of Jesus. At the blessing, the host and the wine become a part of Jesus. There are actual scientific studies done on the blessed Host which prove this miracle in that the DNA that is contained in the Eucharist is from the heart muscle! This is also when there is the washing of feet. Jesus got down on His knees and washed the feet of His disciples to show them even though He is King, He came to serve us. They too (and all of the disciples of Jesus) are also to get down and serve others. We are not to be like gods, too “great” to serve, but humble and meek. Holy Thursday ends with Jesus going into the Garden to pray, that tomorrow never comes but if for the will of God. This is the day our Lord was betrayed, tried, denied, and killed. It happened so quickly, from the early dawn arrest, to the 9:00 AM scourging and trial, until noon when He was crucified. 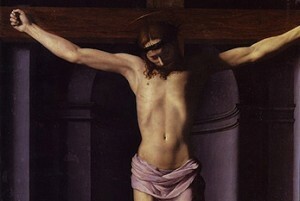 He hung on the cross, in the dark, for 3 hours, when He finally gave up His Spirit to the Lord. HE HAS RISEN! The Tomb is Empty! We are witnesses to the Body and Soul Resurrection of Jesus Christ. He has not abandoned us, rather He has overcome sin and death so that we too may have eternal life. All we need to do is believe! Whenever Jesus spoke of His death, He always joined it with His Resurrection. His disciples did not completely understand until they seen and believed with their own eyes. We are living in a time of great grace, since we have both the Old Testament prophecy and the New Testament fulfillment. We can see that Jesus fulfilled all that was promised by God, and that by another miracle, His Church has grown and stayed true to God’s Word. There have been times when the Church has been distorted by man, and attacked by the devil himself, but God defeated the devil, and this is his last stand to take people away from Him. Who do you stand with? Do you believe that Jesus was just a man who was a good teacher? Or the Son of God, who came and was the pure, unblemished Lamb of God who was sacrificed for the sins for all, so that we who are covered in the blood of the Lamb will gain eternal life, a restored Garden of Eden, with God Almighty! Catholic Upgrade: Join in the daily celebration of Holy Thursday, Good Friday, and either Holy Saturday (Easter Vigil) or Easter Sunday! 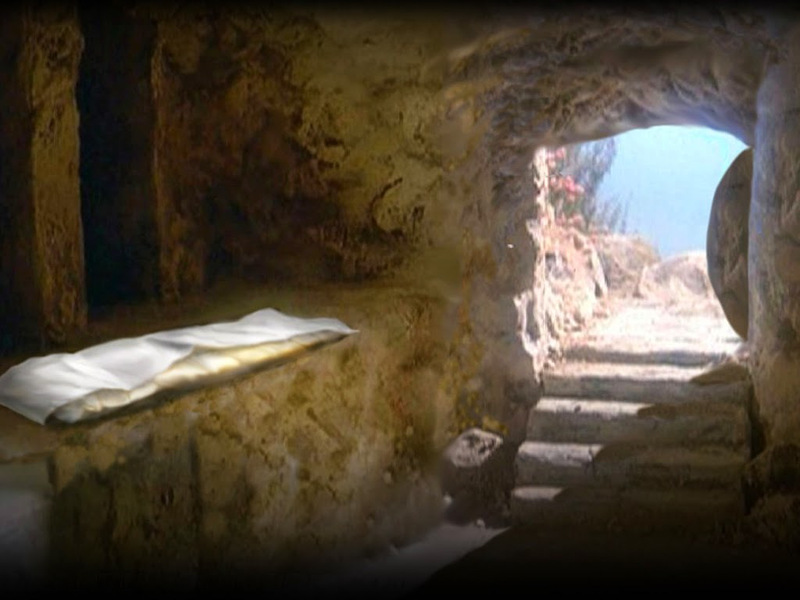 Celebrate the Empty Tomb! Glory to God in the Highest! Easter, good Friday, he is risen, holy Saturday, holy Thursday, holy week, Maude Thursday, simple upgrades. Bookmark.